This entry was posted in analog, audio, english, guitar, music, projects, Uncategorized and tagged diy, documentation, guitar, hardware. Bookmark the permalink. 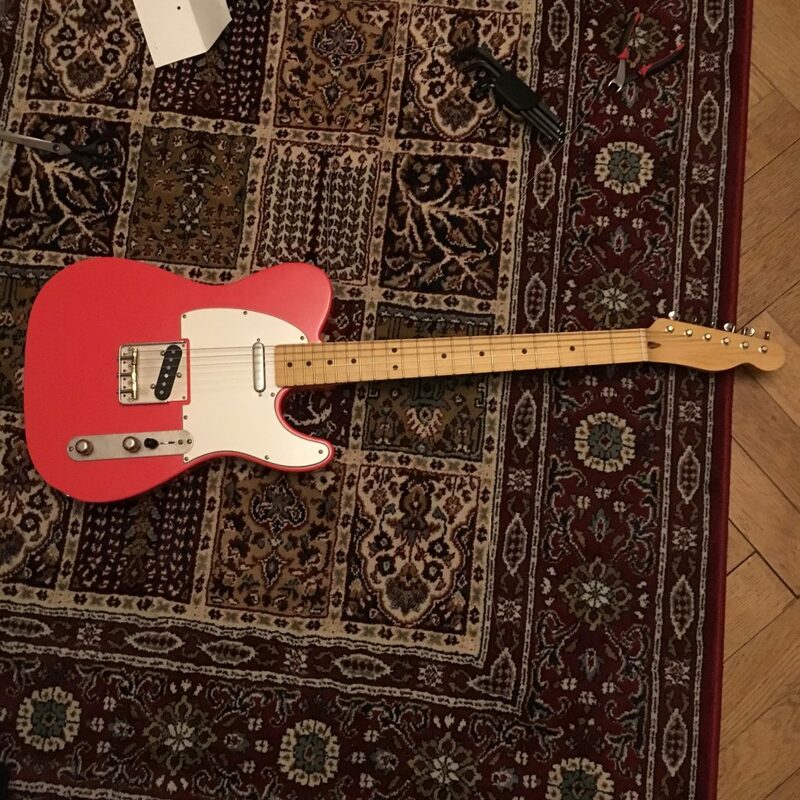 Awesome fiesta red telecaster! I’m dreaming of doing just the same with warmoth body and neck! I’m from Berlin/Germany. The customs tax is basically you’re regular country VAT. In Germany this is 19%, all in all not cheap but I’m very happy with the result. Awesome build!! 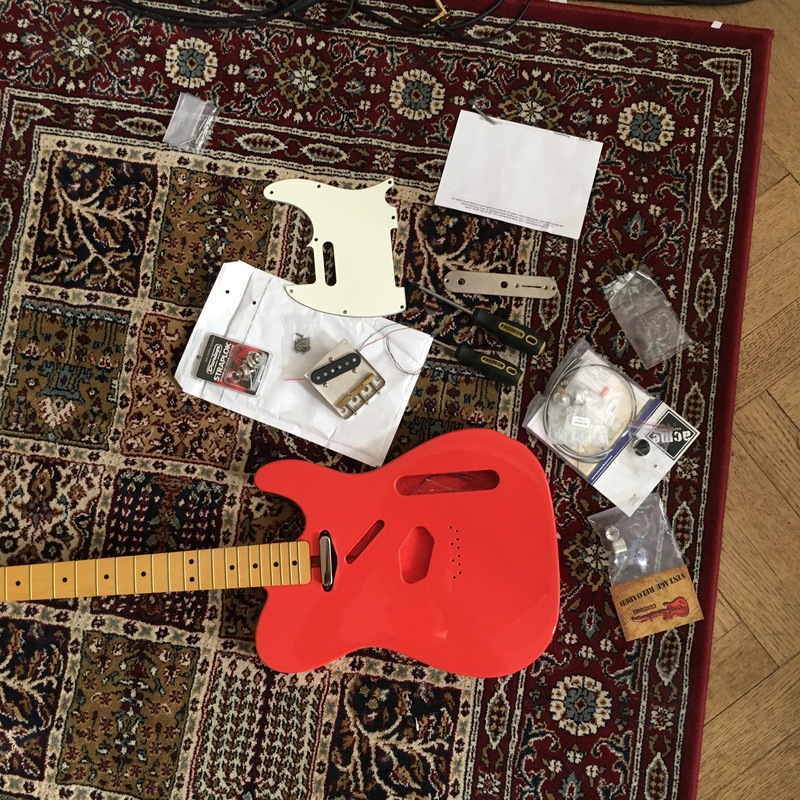 I’m thinking of starting my own DIY Tele build and was wondering how that Warmoth Telecaster body is holding up? 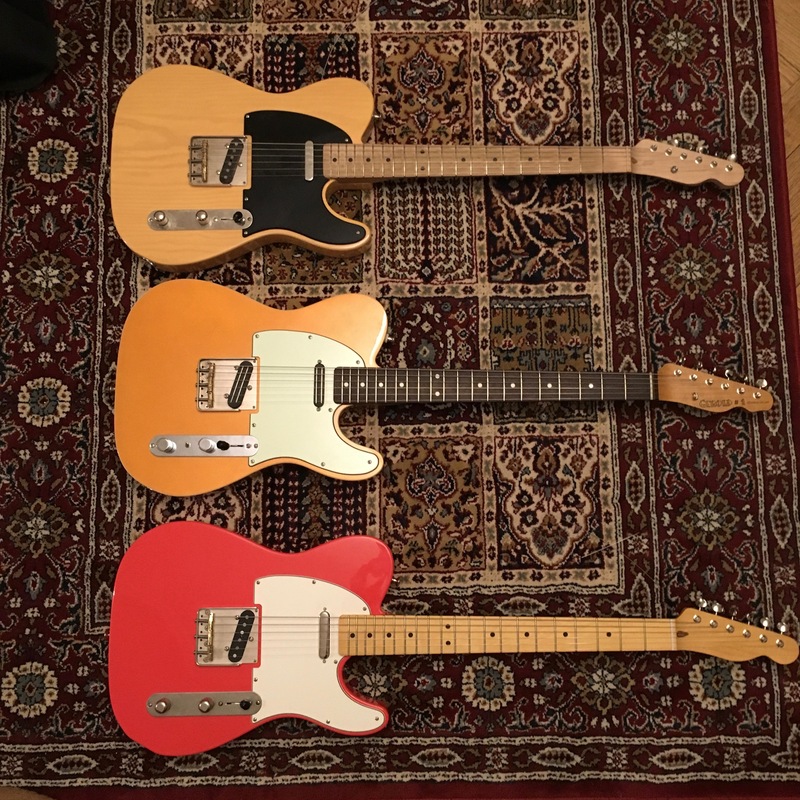 I’m still unsure if I should go for an original Fender body or the Warmoth.